Awakenings has assembled a talented and diverse team of Psychic Reader — Lori Camacho, Barbara Myles, Michelle Oborny, Patrick, Diana Wint, Erin Goodwin, MayLynne, Marlo Gonzales, Megan Enciso, Laura Grannis, Graciela Ramos, Jill Thomas, Jewels Edwards, Charity Love, Tara, Kasey Crosby, and Lynn Carlson — Our readers are available, by appointment, in person, or over the telephone. ** Unless otherwise noted below. and diverse team of Psychic Readers. We are very discerning in our selection process of the readers we contract with and strive to provide you with abundant choices. Each Intuitive Reader has unique specialties and backgrounds with divinations such as tarot, Mediumship, clairvoyance, clairaudience, astrology, numerology, pendulums, lifecoaching and more. We invite you to study the list to find the one that resonates with you. Lori is unique as she is a Spiritual Teacher, Clairvoyant, Healer and Trance Channel. A reading can be done both in or out of the trance state with unseen friend "Raina", or a mixture of both styles can be explored in one session. A channeled reading would be more healing in nature, where a clairvoyant reading would deal with the more worldly physical needs. You will be asked to say your name three times and then either Lori or Raina will tune into your energy with your voice and begin a very enlightening experience. We now offer the option of having one of our psychics come to your party, gathering or special event. Whether you are planning a large party or a simple night in with the girls, we are here to help you find the perfect reader for you. Prices start at $180 for the first hour (includes drive time to and from event) and $120 for each additional hour with a two-hour minimum. Please call us at: 949-457-0797 to book an appointment. Barbara is a Teacher, Intuitive Life Coach, Medium, Clairvoyant, and Channel. As a born healer, she has decades of experience in energetic and hands on healing with both people and animals. Barbara is often called in for her positive results with energetic clearings for individuals, businesses, and homes. Having worked with troubled youth has made her an exceptional interventionist. Barbara excels at holding space for her clients while discovering the root of the issue. With her positive, upbeat, and to the point style, she provides you with solutions and skills for personal growth, and shifting beliefs for dramatic change. She is a minister and a Reiki Master among other certifications and trainings. Clairvoyant, Channel, Medical Intuitive, Medium. After a lifetime of informal attunement to energy, Michelle began formally training as a metaphysician eight years ago. Initially using Tarot Cards, numerology, and Angelic Readings to inform people of their potentials, she eventually developed Integral Self-Healing sessions which combine a wide variety of modalities to reveal the path to progress for each individual. Using DNA analysis and energetic medicine to diagnose physiological constraints, and past-lives visions to trace blockages, Michelle specializes in identifying stagnancy and reclaiming a conscious blueprint to propel creative growth. She is a novelist who has spent the last decade implementing her experience as a corporate leader, and is currently pursuing a PhD in clinical psychology with an emphasis on mythology and archetypes. Erin is a claircognizant, clairvoyant, clairsentient and empath with over 10 years of professional experience. Her sensitivity started as a young child when she began experiencing spirit activity in the home she lived in. She now serves as an intuitive counselor for people looking for clarity in their life. Going over a variety of issues including love, family issues, career, grief, trauma and emotional wellbeing. She also has a very good connection with sensitive children of all ages who are in need of support. In addition to all of this, she can view past lives, read auras, and connect to loved ones in spirit. With the help of her stellar guides, the messages Erin delivers heal, inspire, and inform all in one one session. MayLynne is an Intuitive Energy Healer, Clairvoyant Reader, Vocal Channel, Spiritual Teacher/Awakener, and Medium. Highly Empathic, she has natural abilities of receiving information by inner knowing, visions/sight, and audible messages. MayLynne works from her heart center creating a sacred space with her Spirit council of Higher Self, high Vibrational Beings, and Tako, an American Indian Medicine Spirit - channeling her through healing song. Her passion is to work as a Spiritual Counselor unlocking unhealthy patterns linked to childhood, relationship and past life patterns; bringing forth timeless healings in truth, clarity, healthy boundaries and empowerment to your soul journey in the embodiment of love and compassion. Marlo is a natural empath and channel who works primarily through clairsentience and clairaudience to provide psychic readings, clear emotional blockages, and facilitate a connection between an individual and their guides. Using a heart centered approach, she is adept at energetic balancing. She utilizes both tarot and crystal therapy, as well as auric readings to delve deeper into specific issues to assist in mapping a path toward a healthier state of mind. She works closely with Angelic and Reiki energy to align and harmonize her client's etheric and physical bodies. She specializes in working with individuals dealing with stress, anxiety, fear/nightmares, and people wanting to understand and explore their own gifts. All sessions are held in strict confidence. Laura is a Clairvoyant, Medium, and Vocal Channel. Through a number of near death experiences and a long illness, Laura has been attuned to Spirit and subtle energy. She began to meditate as a way of shifting out of pain and depression. Her life was forever changed when a team of higher-dimensional angelic beings came and saved her life, retrieving her soul from beyond the veil and putting her back into her body. Laura uses her direct connection to her Higher Self and the Angelic Realm to facilitate healing and deepen your connection to your Higher Self, allowing you to move forward with spiritual clarity and resolution. Laura also offers intuitive natal astrology readings, in which she uses both her intellectual knowledge of astrology and her channeling ability to offer you greater insight into your personality and life purpose. With your input and participation, she will assist you in seeing the root cause of events and behavior patterns that are playing out in your life. A natal chart reading combined with direct intuitive guidance can help you heal into understanding and accepting who you are so that you can udnerstand why you create your reality as you do and how to change it and find greater joy in your life. Laura also reads natal charts for your children and grandchildren upon request so that you can understand how to optimally nurture them and meet their needs. **Must be scheduled a week in advance for preparation of chart. Natal Astrology Readings are $150 per hour **Appointments must be made a week in advance. Megan is a Clairvoyant, Medium, and Extreme Empath. She works with her Higher Self to connect to Spirit and receive messages through seeing, hearing, feeling, and knowing, and delivers them using her sacred heart center. Megan comes from a long line of Shamans, and Healers, and continues to study Shamanism and the Latin American tradition of Curanderismo. She uses her gifts to lovingly hold space and help others receive important messages from Spirit and deceased loved ones so they can grow, heal, and step into their power in their current lives. Jill is a Clairvoyant, Intuitive Counselor, Vocal Channel, and Intuitive Hypnotherapist. A natural Intuitive Spiritual Counselor, Jill connects with her and her clients' guides to deliver messages from spirit on relationships, how to create prosperity, personal and professional success and create lasting joy, happiness and much more. Her remarkable success with clients has led to her to now offer Hypnotherapy, Past Life and Between Life Regressions. Step off the edge—grow wings! Schedule your transformational appointment today. "Artist Of The Soul" -Mind Body Spirit Intuitive- Co-Creator of manifesting your dreams. Jewels a holistic health practitioner and spiritual counselor, uses her Native American heritage and her intuitive abilities such as Seeing, Feeling, Hearing and Knowing to access spirit. Guiding individuals and families to decipher past, present, and future experiences. More importantly, she provides the tools to address and grow through such issues as childhood trauma, relationship issues, dysfunctional family dynamics, depression, emotional suffering, spiritual uncertainty, energetic balancing and restoration of physical, emotional and mental health. Employing numerous clinical modalities and personal intuitive gifts, she hleps clients decode the patterns of their beliefs, manage their emotions and journey to the center of their authentic soul. Jewels is a Certified Life and Success Coach, Certified NLP Practitioner and Master Coach, Certified Clinical Hynotherapist, Certified Master Practitioner - Quantum Dynamics timeline Techniques, Equine Assisted Counselor, Relationship and Communication Expert, Certified Medical Aesthetician, Ordained Minister, Parent and Teen Mentor. Charity Love is a born clairvoyant. She specializes in assisting her clients to strengthen their divine purpose and connection to their guardian angels and guides. Charity works with the Angelic realm and Star Nation Galactic Council. She is also a sacred communicator for the nature spirit realms, a medium, medical intuitive, and past life light guide. Charity Love has been visited by the angelic realm since she was a child and talking with angels, as they have brought her clarity of future events before they occurred and how to work with spiritual gifts. Charity loves sharing about the assistance of help we have with us and that we are truly never alone. Charity Love is also a certified drug and alcohol counselor and certified life coach. Diana is a Certified Medium having studied mediumship for several years under the leadership of the Spiritualist Church, being tested and certified through them. She is an Ordained Minister, teacher of mediumship, guest speaker, a certified hypnotherapist and a Reiki Master. Her psychic tools are the Tarot & Psychometry, having the special gift of reading energies and messages from the flowers. She is also a Medical Intuitive. Her approach is witty and loving while focusing on the client’s goals and dreams open to them now and in the future. Tara has been doing readings since she was a teenager and professionally for over 20 years. She is a spiritual counselor, medium, numerologist, and animal communicator with a background in Healing Arts. Tara provides guidance in all areas and aspects of life and offers honest and specific details guided by her Clairvoyant abilities. She also uses her intuition to pull some oracle cards and gives numerological yearly forecasts and life path information that will provide answers about your Life purpose and what's in store for your future. Kasey is a generational practitioner of Celtic Shamanic style healing and divination. As an Ordained Pastor, Life Coach, Medium, and Intuitive Reader, Kasey has helped people throughout the world during his over 35 years of professional work in this field. Utilizing the Celtic Tree Oracle, Tarot, and Aura interpretation, Kasey offers insightful readings dealing with life matters you may be facing. Kasey has recently relocated from the Pacific Northwest where he has lived the past five years teaching his particular method of Celtic lore and healing. Lynn receives her messages directly from Spirit - either from her Higher Self and her Spirit Guides, or the guides and loved ones of the person she is reading. 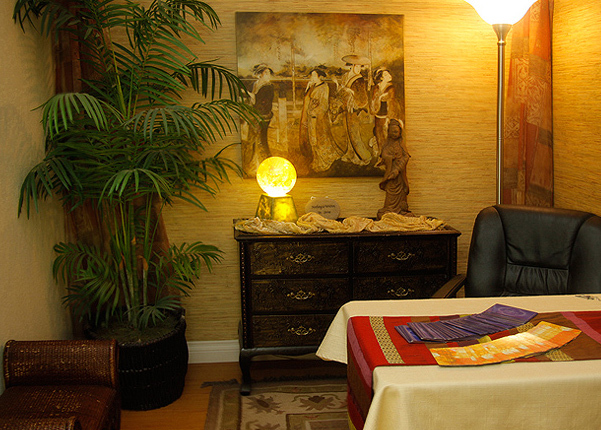 She gives psychic readings where she explores her client's life and the questions they ask. She also gives mediumship readings where she connects with the loved one(s) of the person she is reading. During mediumship readings Lynn reads the departed loved ones personality, sees events and themes of their lives, as well as the kind of relationships they had with their family and in particular her client. These connections allow her to give meaningful messages. Lynn is a certified member of the Shay Parker's Best American Psychics. Born with “The Gift” Anthony cultivated a strong relationship to spirituality and mysticism at an early age. With over 20 years of studies and practical experience utilizing astrology, Anthony honed his skills into an artistry and mastery. Amplified by his natural psychic abilities, his readings are transformed into extraordinary and potentially life changing sessions. This unique synergy has created Anthony to be one of the most sought after psychic astrologers working today. Your natal chart is much like a snapshot of the sky at the very moment we were born. We carry our natal chart with us through the entire course of our lives, even though the planets and luminaries continue their movement and cycles in the sky. A thorough 60-90 minute session that illuminates the blue print of your life. Precise specialized follow up consultations to help you successfully navigate the flow of energies throughout the year.